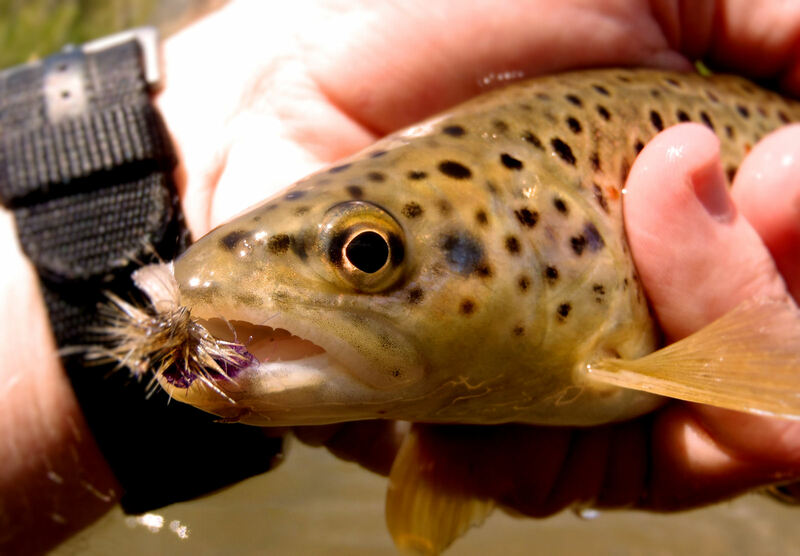 A quick update about the 2012 Blacksmith Fork River salmonfly hatch. I scouted the entire canyon early this afternoon (Saturday, 19 May) and saw very few salmonflies. I saw six specimens to be exact, anywhere from the lower canyon to the upper reaches of the river. I fished some high sections of the river and saw only a handful of anglers on the drive up. I had a great day fishing my Tenkara Iwana with a Purple Haze and (off and on) a Zebra Midge dropper, but I didn’t even bring out the salmonfly patterns. 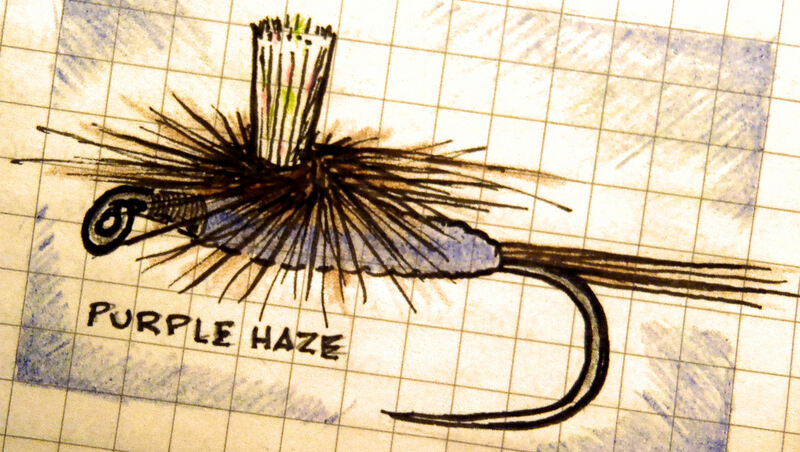 While driving down the canyon I saw a few more anglers–perhaps a dozen–but nowhere near as many as last Wednesday. Lots of spin anglers out today fishing the deep pools and bends, maybe taking advantage of the fishes’ increased interest in worms after yesterday’s big rain. Around 4:30 this afternoon I stopped and spoke with a few fly anglers who were heading home for the day, and they reported similar findings–good dry fly success but not too many salmonflies in evidence. 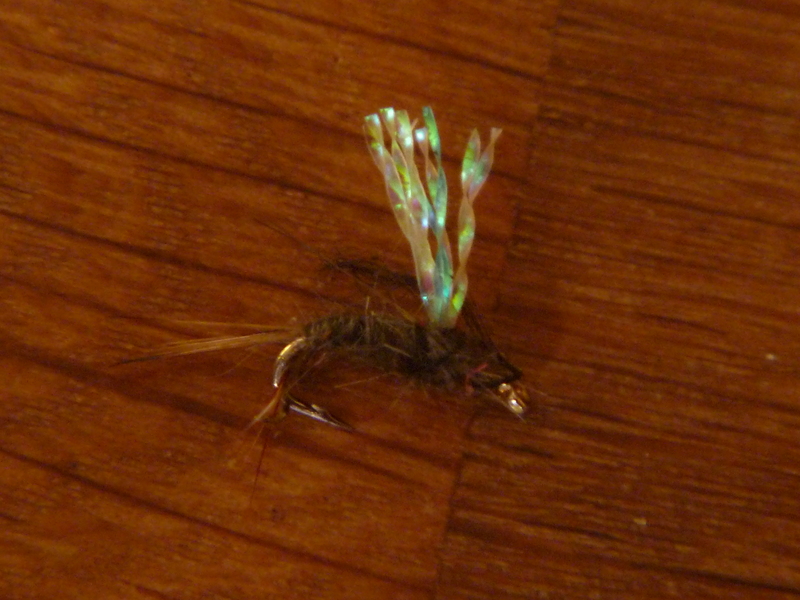 They said caddis patterns, Stimulators, and Sofa Pillows (along with a variety of droppers) were working for them. I asked a friend who I consider to be an expert on this subject about the timing and duration of the salmonfly hatch in the Blacksmith Fork. 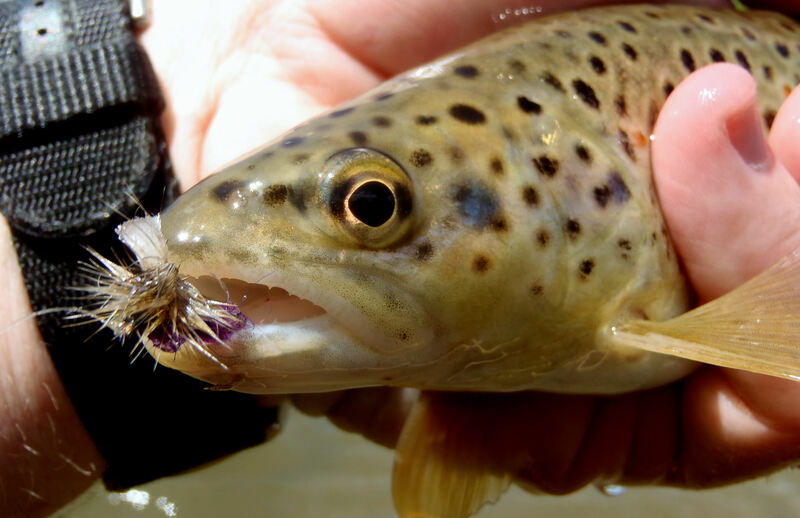 I’ve never been very clear about whether it starts and stops and starts again, as mayfly and caddis hatches often do, or if the Pteronarcys californicus just starts then stops for good. He said if salmonflies have been spotted in the upper canyon (and they have, by me anyway), the hatch propper is mostly likely over with. Adults may be seen for some time to come, but no more swarming clouds as were seen on Wednesday. 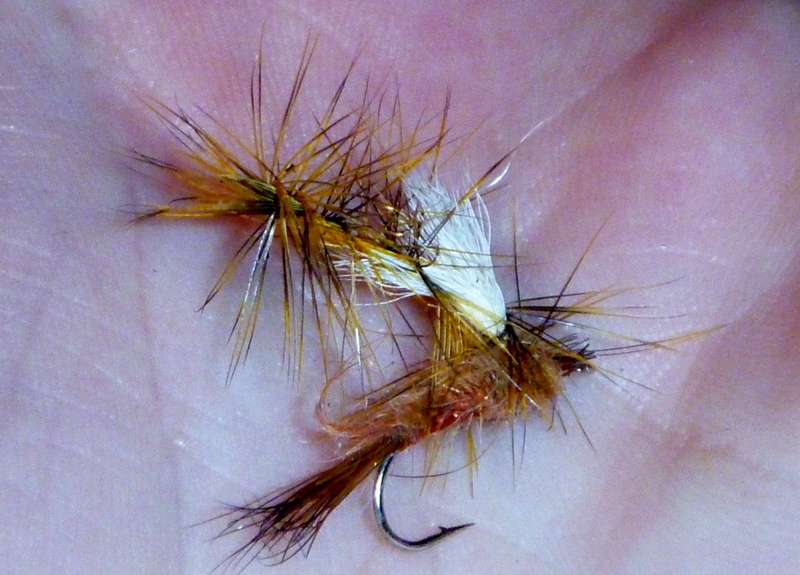 It’s looking like the 2012 Blacksmith Fork River salmonfly hatch is done, folks. If you’ve got additional info, please leave a comment and let us know how it’s going for you.